3 Family home with many updates throughout, separate gas heating systems (about 5 years old), newer windows, 3 year old roof, 2 to 3 bedrooms per unit, tile baths, hardwood floors throughout, full size basement with coin operated washer and dryer. Two car garage, 4 car driveway. 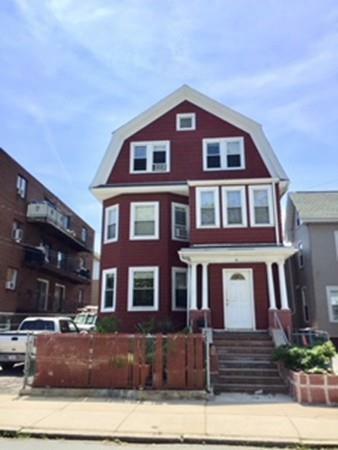 This property is centrally located with easy access to Boston, walking distance to the Silver Line, T and and much more. Listing courtesy of Edgar Ferrer of Adoema Realty, Llc. Listing provided courtesy of Edgar Ferrer of Adoema Realty, Llc.